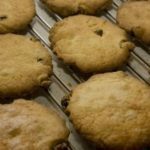 There are so many delicious cakes and biscuits which appear from the recipe books ready for Easter. Simnel cakes, hot cross buns and Easter egg nest cakes to name a few. Frankly I think it’s shameful that all the Easter treats aren’t served all at the same time with a huge pot of tea and some excellent company. So that’s exactly what an Easter afternoon tea is all about. An excuse to scoff all the tasty cakes and biscuits along with some sandwiches (which of course contain some sort of vegetable to negate the cake calories) and scones (because it’s not afternoon tea without a scone). A nice pot of tea and coffee on the side to wash it all down with finished it off perfectly. I do really like chocolate Easter egg nests and I have made some delicious white chocolate and coconut ones before. This batch of krispie cakes needed to be slightly on the bitter side as they were being served alongside other sweet foods. I also prefer them when they are the sticky cocoa covered kind rather than the melted chocolate variety as they are much easier to eat! Put the rice krispies onto a baking tray and put them in a warm oven so they get lovely and toasted. Melt the butter and golden syrup in a large pan on a low heat. When melted and combined sift in the cocoa powder and mix everything together well. Tip the krispies into the cocoa mix and stir everything together so it’s well coated. 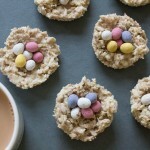 Divide the cocoa covered rice krispies between 12 cupcake cases and top each one with a couple of chocolate eggs. You might have noticed that my scones were a little on the flat side. I know exactly why, it was my mistake. I cooked them on foil backed baking paper and I think this stopped the heat from getting to them how it normally would and they didn’t rise as much. They still tasted great covered in clotted cream and raspberry jam though! As much of a fan of a traditional Easter Sunday roast as I am I think this afternoon tea is a fantastic alternative. And the leftovers you have afterwards are excellent. I never liked rice krispies treats when I was a child – perhaps calling it was chocolate! Happy Easter! My mother refused to ever purchase crappy American cereals, so I never had Rice Krispie treats. Now that I know what they are I don’t want them. But yours are pretty! I had my first high tea at Browns Hotel in London. What a lovely experience. I haven’t had Rice Krispie treats in years! Fun reminder of my youth. Yours look terrific. And what a great tea you served! Really nice — thanks. What a wonderful afternoon tea treat! Those homemade rice krispie cakes look really great. Love these rice krispies treats you made, well the whole spread. 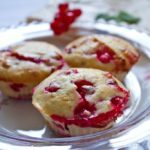 looks great, even a bit flat scones. a table full of all of these things sounds like a dream come true to me! You did what I keep daydreaming about – create an afternoon tea right at home. I just love it (and hope to do it one of these days)! All your treats look wonderful and I hope you had as cosy and relaxing a time as it looks. Great job!